Complement your modern bathroom decor with the MOEN Spout in Chrome. This durable metal tub filler offers 5-1/2 inch of clearance and features a 1/2 inch IPS connection. This lustrous collection works seamlessly with today's lifestyles. 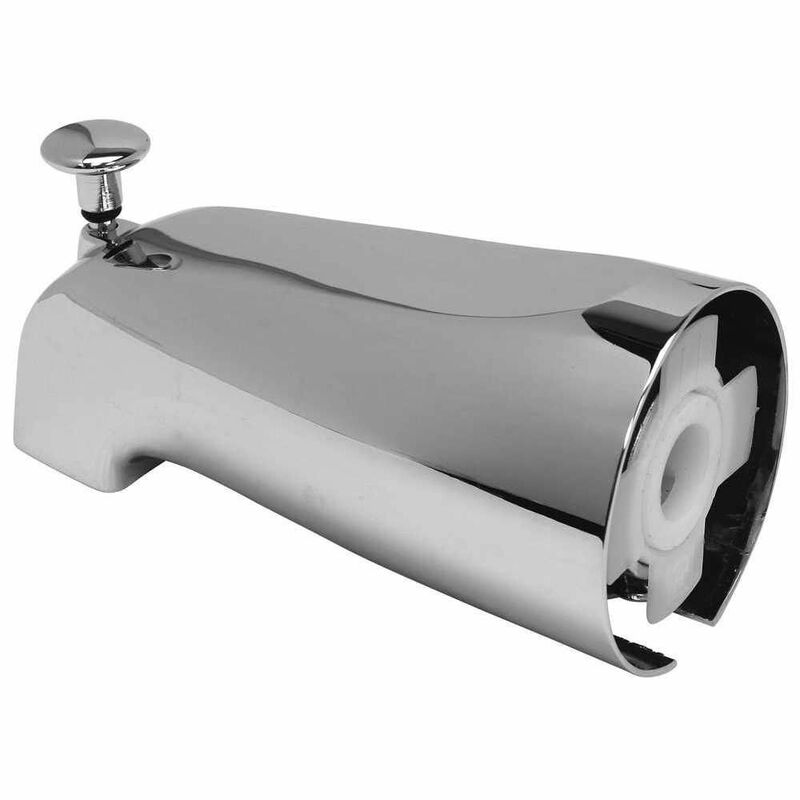 Bathtub Spout With Top Diverter And Adjustable Slide Connector, 1-3/4 inch Telescoping Fit, Chrome is rated 5.0 out of 5 by 2. Rated 5 out of 5 by andrey from Very good Thanks!!!!!!!!!!!!!!!!!!!!!!!!!!!!!!!!!!!!!!!!!!!! !